Lookie what I found rummaging through Paige’s garage one day! 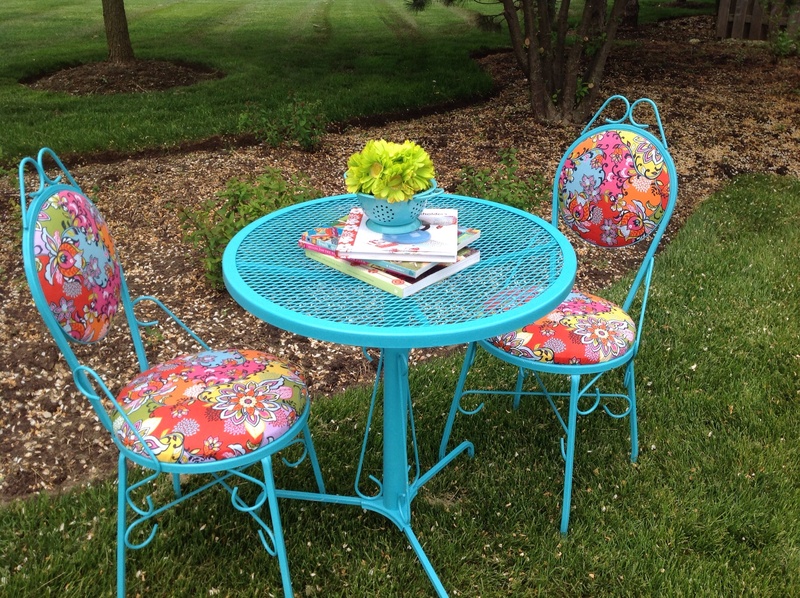 A little retro soda shop table and 2 chairs. It was hideous. Rusted. The seats were literally crumbling and I was pretty sure ‘things‘ were living in it…but I knew there was potential. It could be darn adorable. We couldn’t throw it away. Will she be upset if we do a little redo? 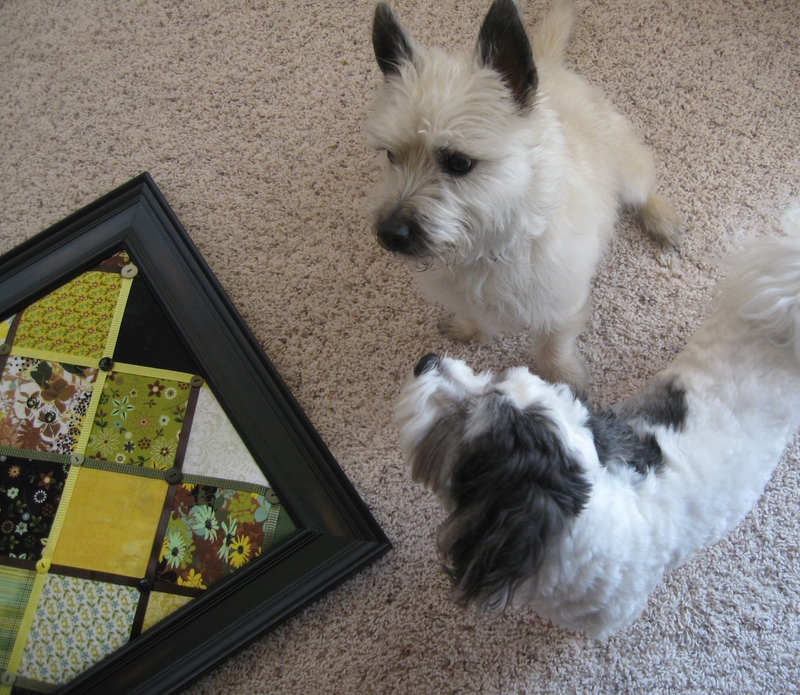 We could use these in the quilt shows we attend or for photo shoots. 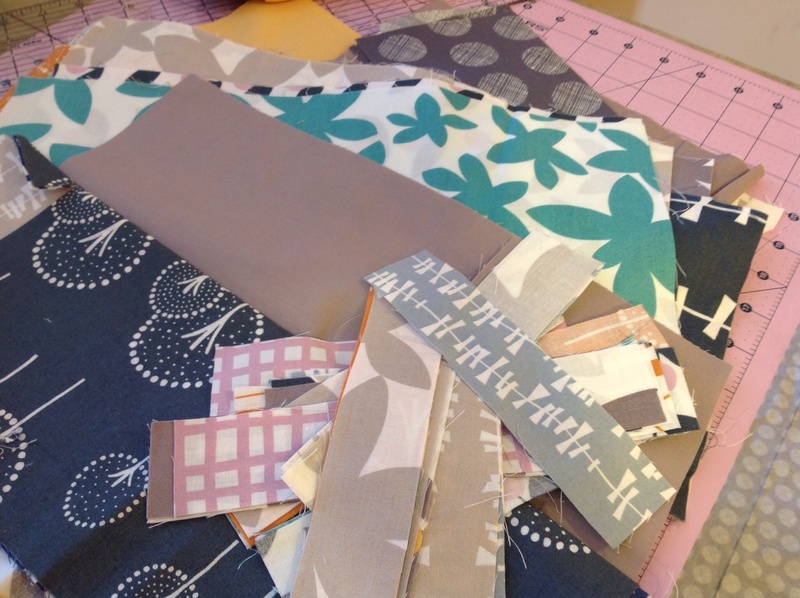 We could make them… SewMod Style. Acquire a partner in crime: Wendy will spray paint anything so I knew she’d be up for the task. So one day while Paige was at work, we got busy on our surprise. 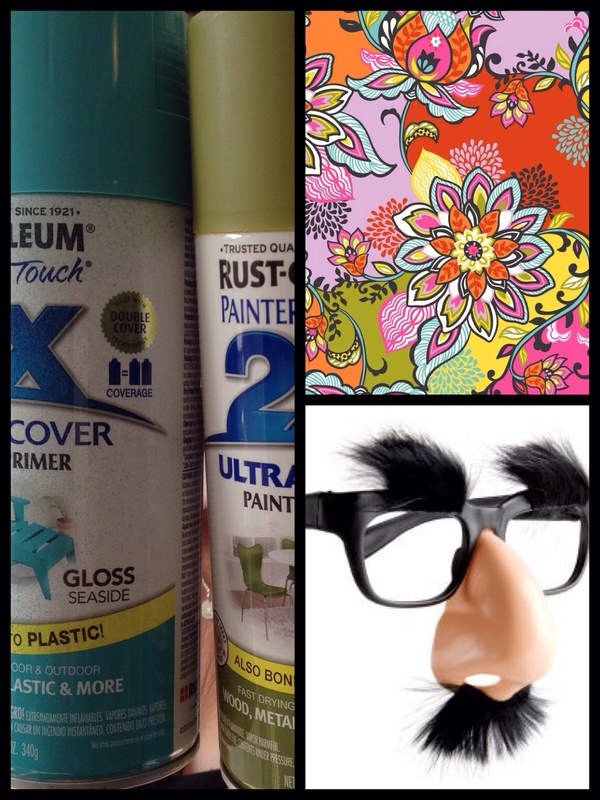 Materials: 2 cans of spray paint, a disguise in case she comes home early, I mean a mask and sunglasses for protection, fabric and new wood for the seats, & a sheet to protect the grass. Babysitter for Daisy: this tree will work nicely. 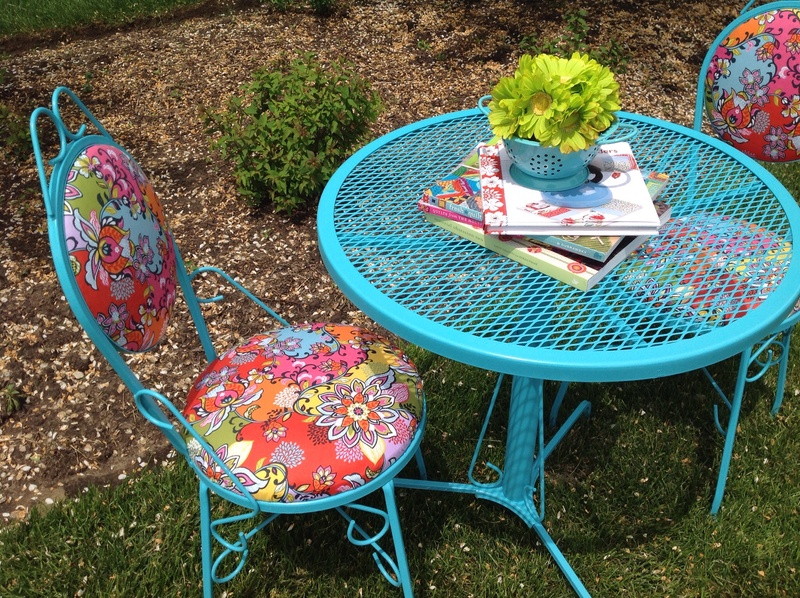 Go for it: Ignore all the neighbors staring at us and spray away. 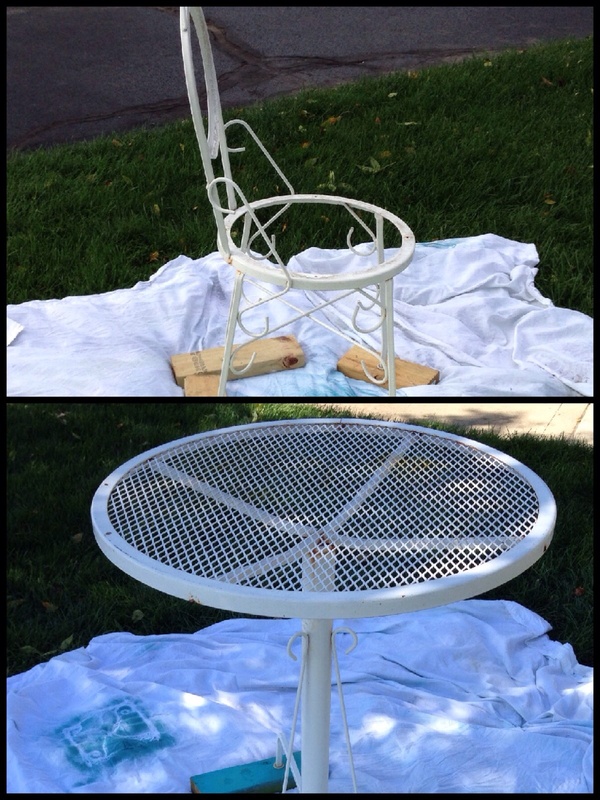 Then when that projects finished find something else to spray paint because it’s really fun now! 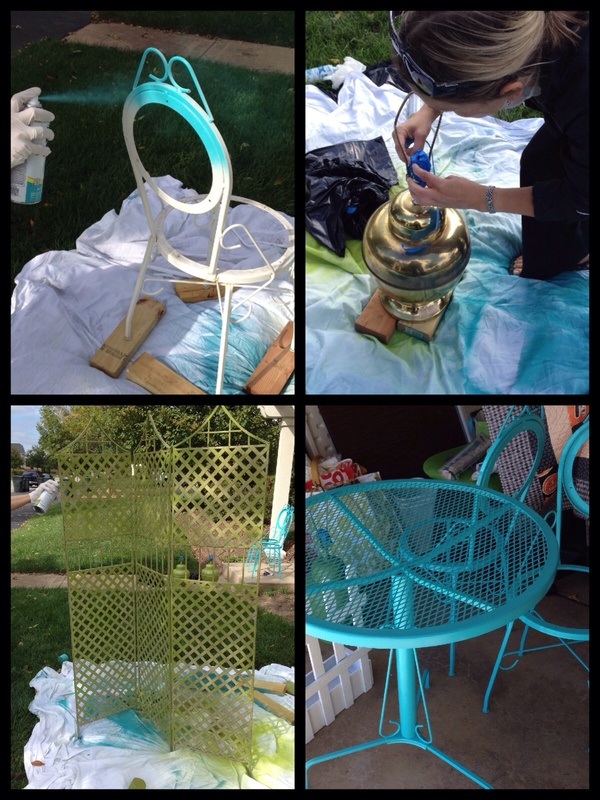 We spray painted so much that day, we had to make another run to Home Depot! But it was fun and totally worth it! Her reaction: Surprise!! She loves it. Yay! My Partner in crime and I will be back soon to show off those ugly gold lamps and how we made them SewMod Style with a re-purposed shade to match! Can I just tell you how obsessed I am with this Lotta Jansdotter line, Glimma? It’s a good thing we carry it in the shop…or maybe for y’all it’s a bad thing cause I’ve personally used most of it now. I know she has a new line out now, but I haven’t finished using all of the first one up! I like it because its gender neutral. Don’t get me wrong..I’m girly, but some people in my life are not so partial to flowers and rainbows(aka…boyfriend). He’s cramping my style on all things pink! 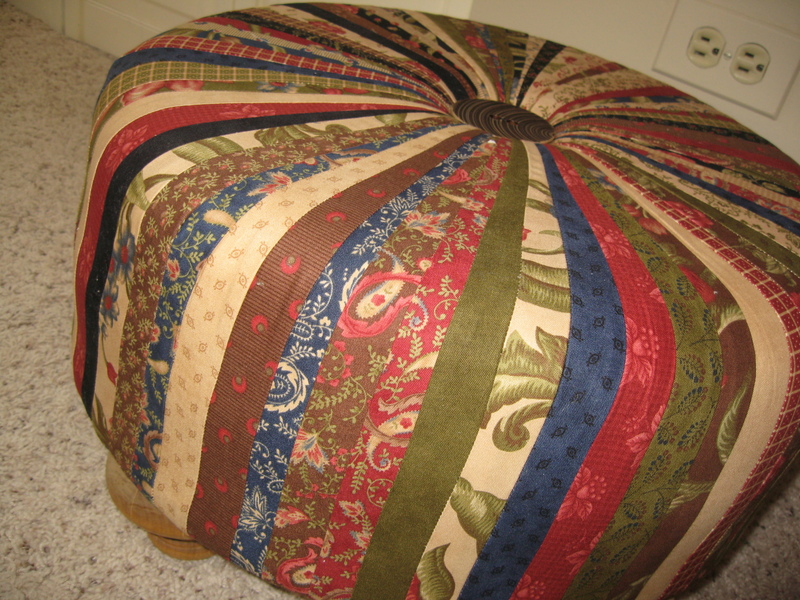 I’d like to show you what I did with a Glimma Fat Quarter Bundle. First we kitted Cannon Beach with it. 20 fat quarters are required to make this, not including the background. After the quilt top is cut and appliqued, the backing is trimmed away to reduce bulk and I was left with this messy pile that screamed…Make me ‘Glimma’! So I obeyed. 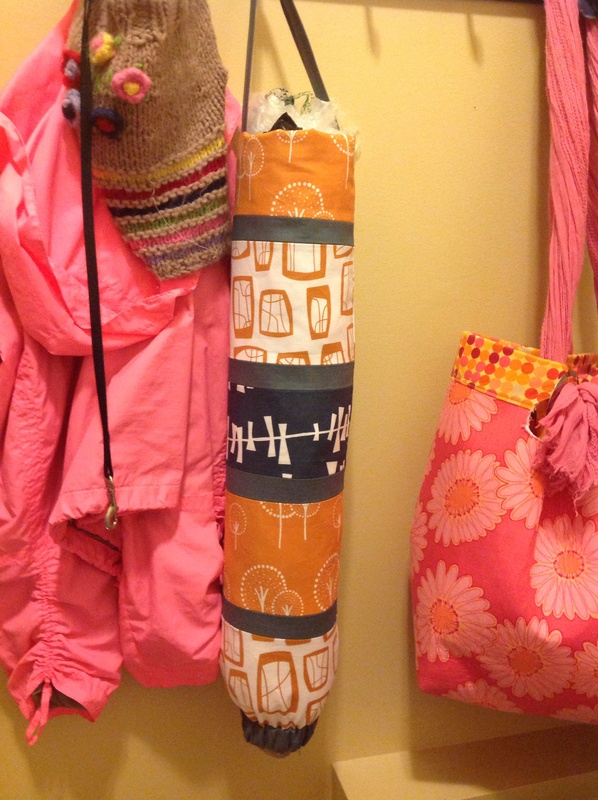 I decided to make a bag to hold, well just about everything including the kitchen sink. Paige designed Sophie’s Bag and everyone has one but me..guess I’ll have to make my own, Paige:) it requires just 1 yard of quilted fabric. First thing I did was take the trimmed backing and cut into useable sizes, and I sewed it together to make the inside piece and handles for the bag. I then just cut as many leftover Glimma pieces as possible into random squares and rectangles to ‘piece’ a top. And this is my new yardage for my bag. 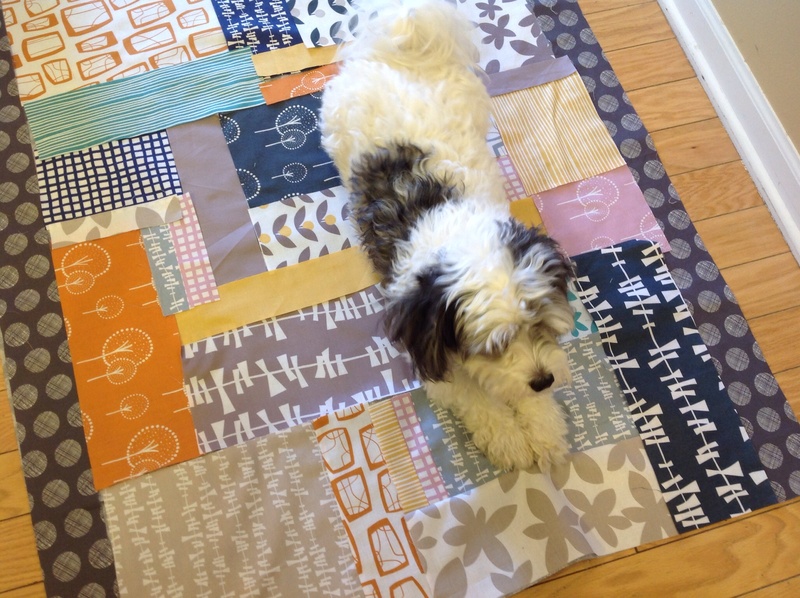 And no, I have not finished quilting it. Y’all know how much I hate to quilt! But it’s coming along and soon, hopefully by next week I’ll have an update on the finished bag. 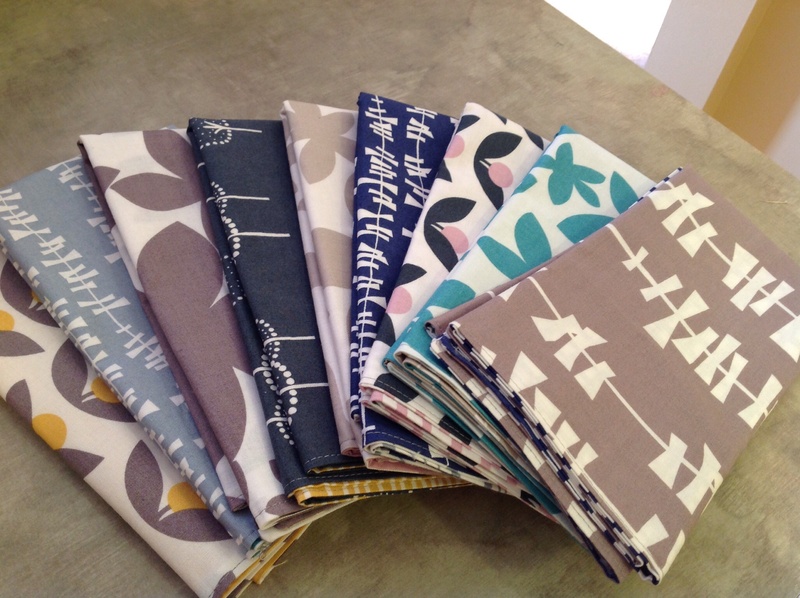 Then I made these double sided napkins with the rest! But wait, there’s more! 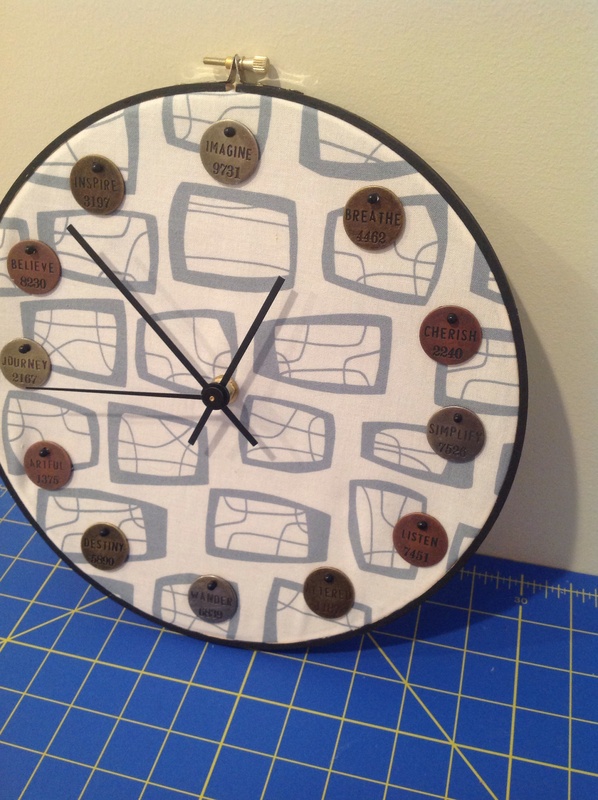 Wendy made a clock for her sewing room out of one of them too. 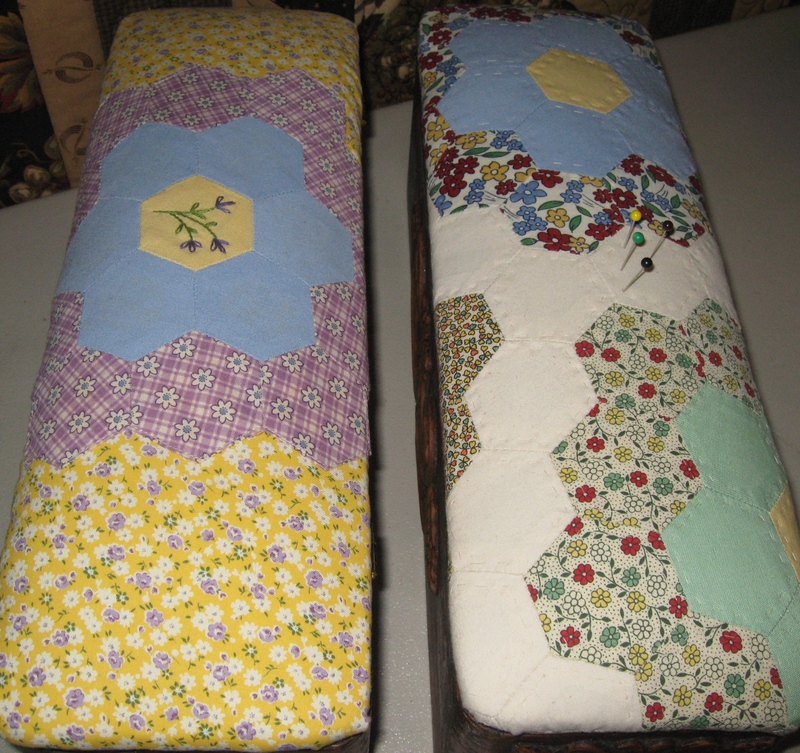 I still have a tiny bit left over from my bundles….scrappy potholders perhaps? So, my lack of blogging in the latter part of 2012 is embarrassing to say the least. I was busy though, I promise. I’d hate to think you guys thought I was just goofing off and being unproductive so I’ve gathered a few pics of some of the projects/fun things that we were up to. 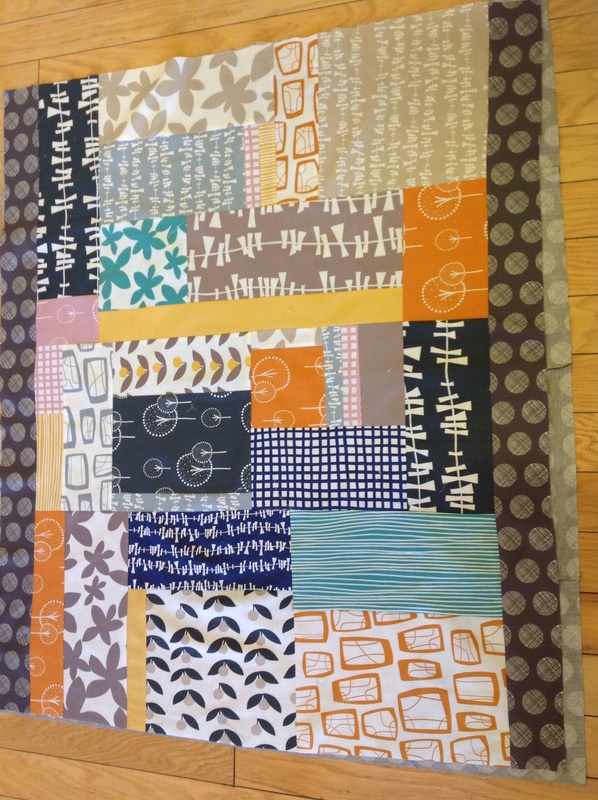 Here we go… This is a commission quilt we made for a customer we met at Madison this year. 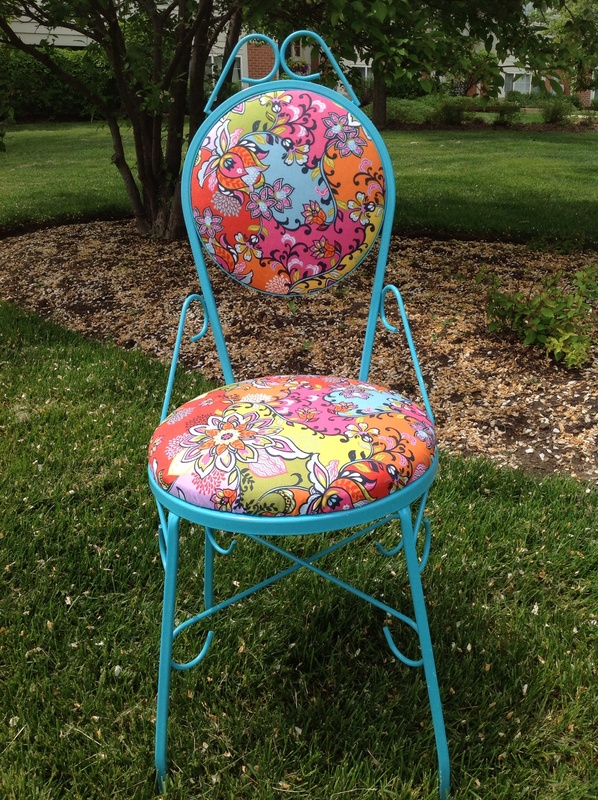 Made for her granddaughter, Mimi. It’s a modified Sassafras. I tagged this one “I’m a Barbie girl”. It was so so very pink and girly! 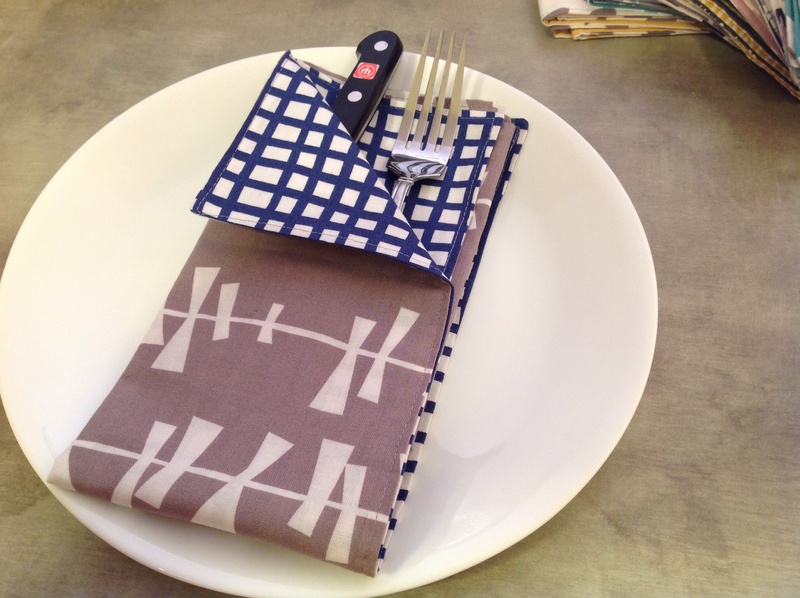 All of those hexies I made became one of these…Is this the cutest place mat or what. Still workin’ on my 2nd one! 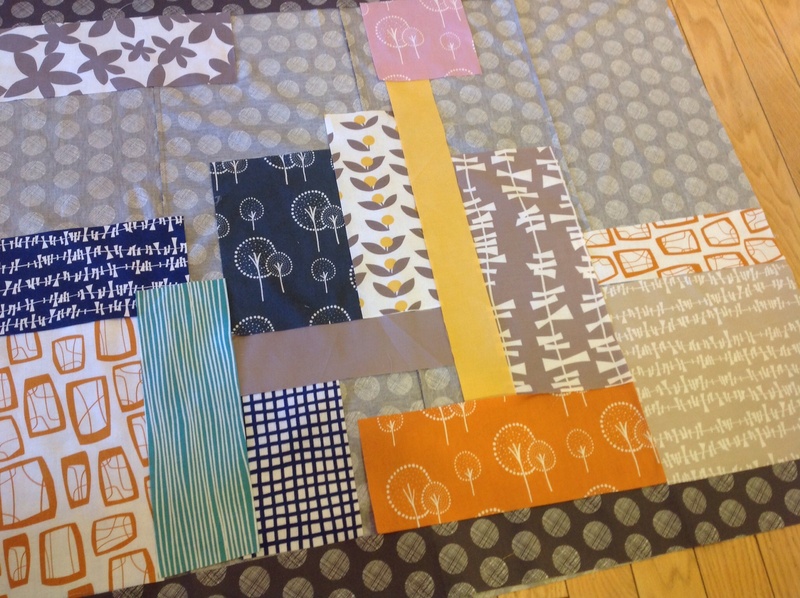 This was a sample for when we were asked to vend at a local Modern Quilt Guild. 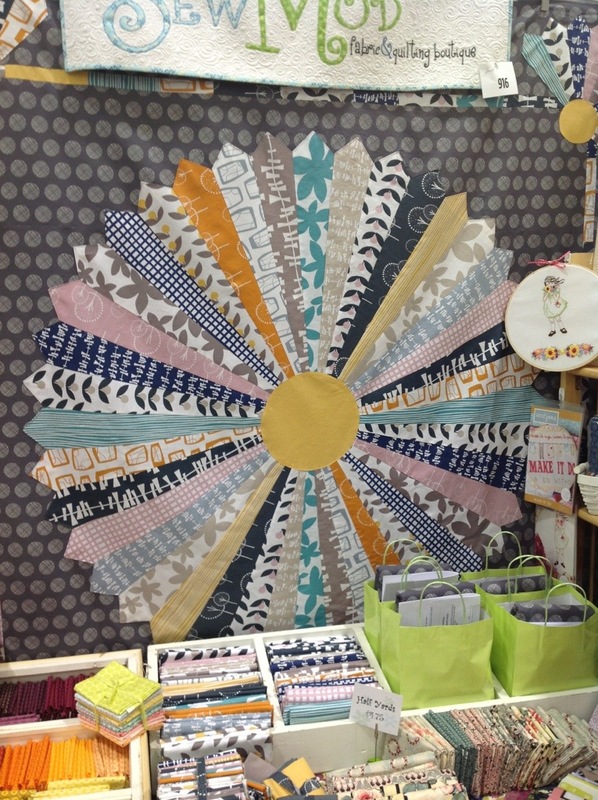 We did a demo on hand and machine hexies. We made a commissioned breast cancer throw for someone’s Christmas gift. And let’s just say this…you can’t hide from Karma peeps. At least I’m hoping anyway;) More on that subject at a later date. 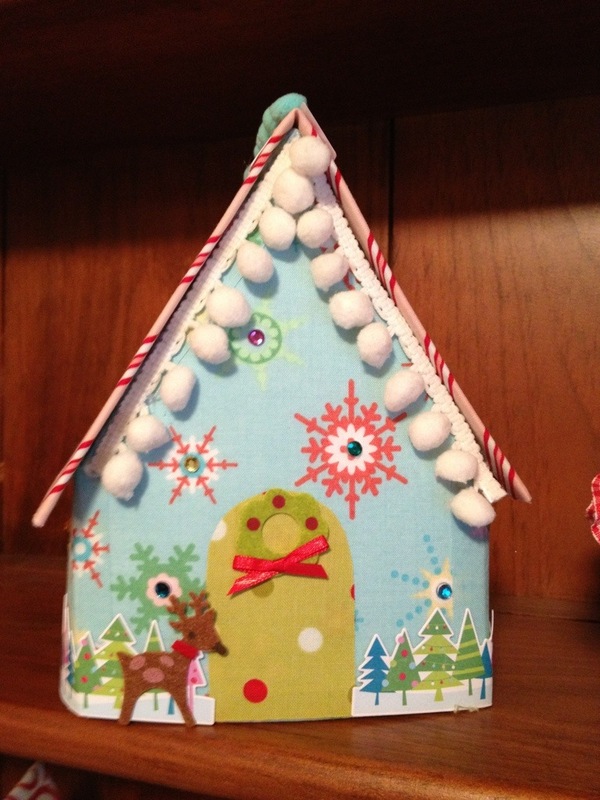 Had a Christmas crafting party..
And we made these cute button trees…This one’s mine. But then ate a lot of this..
We found a perfect cupcake stand for SewMod. So we ate even more of this deliciousness just to decorate the stand…. That matched these trees! 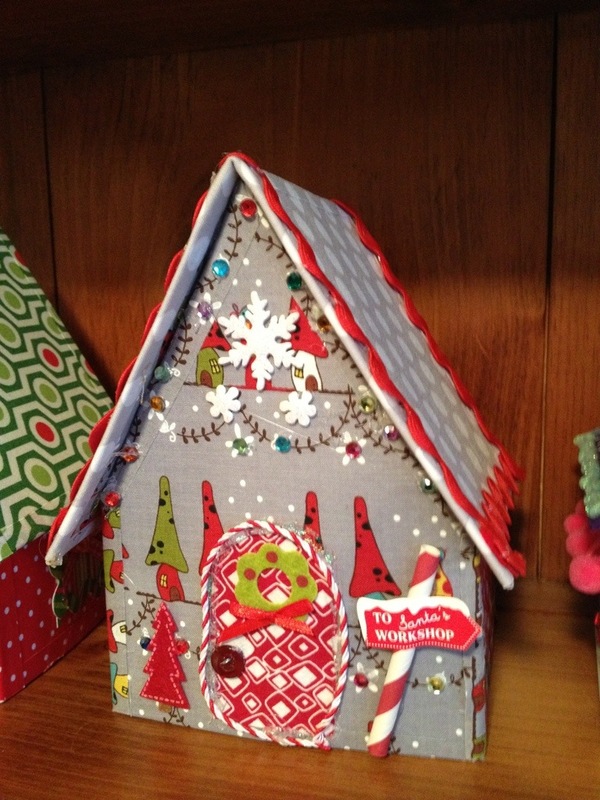 How could we possibly resist…It’s Christmas, SewMod Style! And finally made more progress on my December fun project, Rendezvous..
Whew, 2 months of blogging done! Here’s to a great 2013! We made a lot of progress this year and we couldn’t have done it without all of your support. We made wonderful friends and met so many people thru social media and our experiences at the quilt shows and local guilds. Thank you everyone! 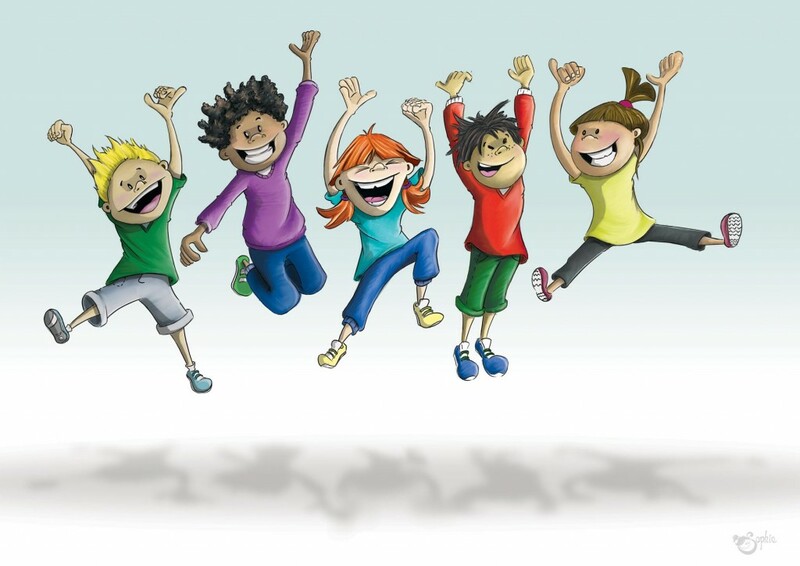 We are looking forward to another exciting year! Get your glue gun. Gather your two favorite christmas fat quarters. 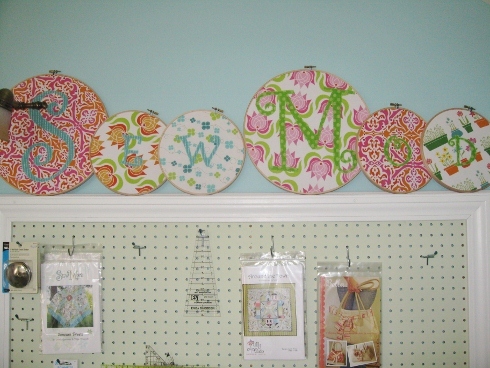 Don’t forget your crafty fun supplies like buttons, trim, stickers. Let’s make a Glitter Village! I spent the day with great friends working on this crafty project. 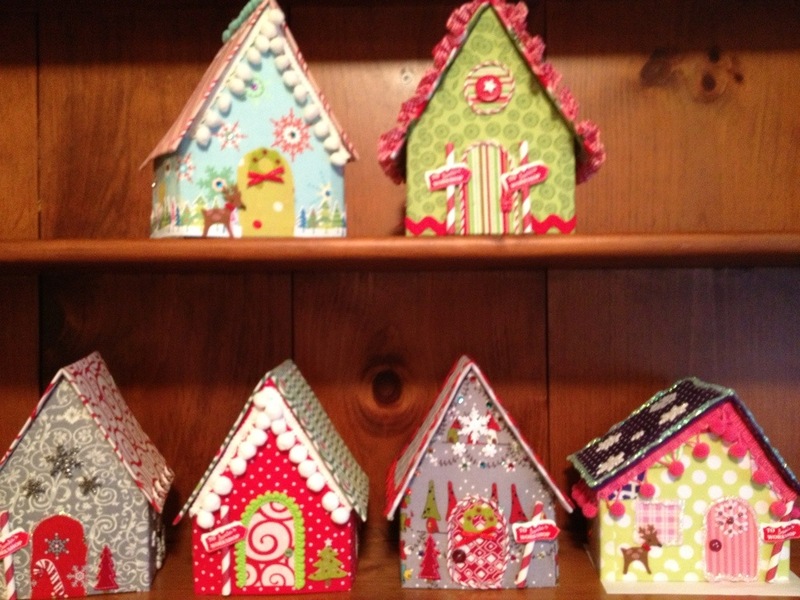 Some of the girls came over and we made these cute houses from Terry Atkinson’s pattern “Glitter Village”. Pretty simple. Lots of cutting, but what isn’t I guess. No sewing required! It’s all assembled with Heat and Bond and double sided heavy Peltex. We had a lot of fun decorating them! Mine of course was not made in traditional colors. 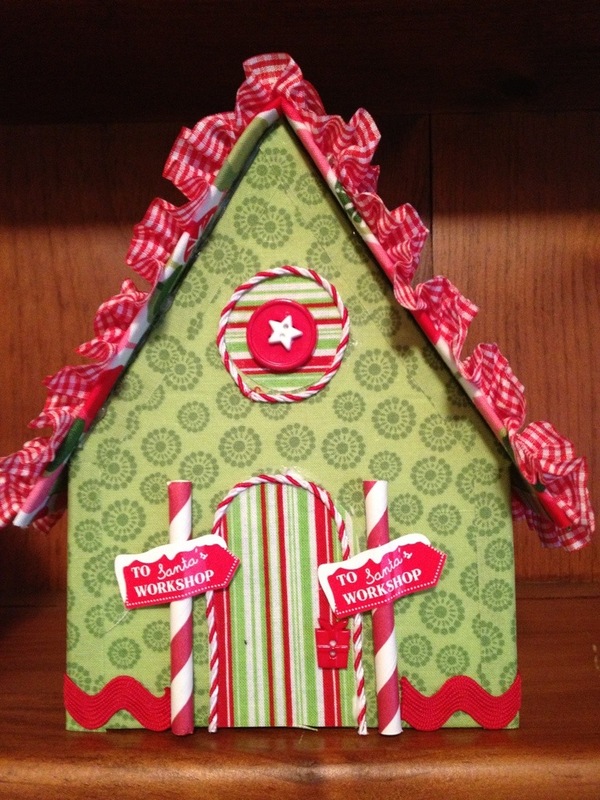 I love the turquoise and pinks that are in so many Christmas decorations now. 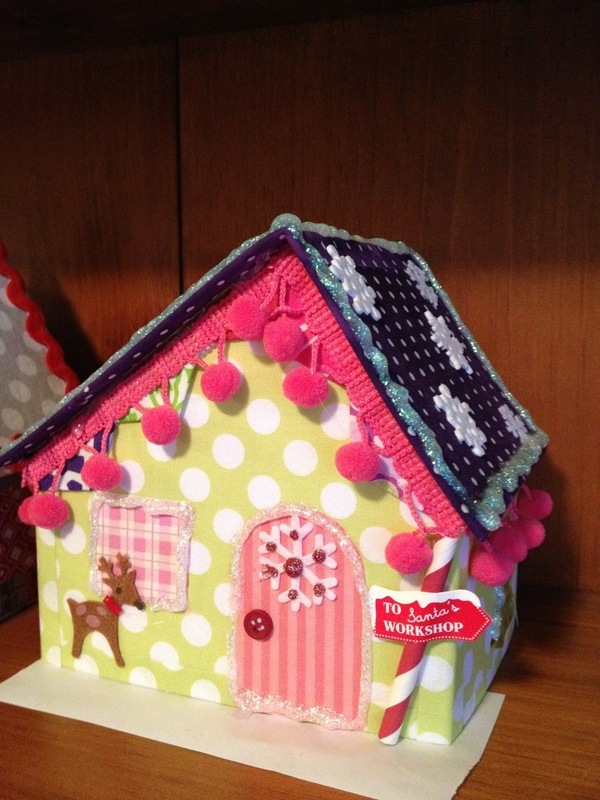 Paige made a modern, whimsy Christmas house with bright pink fringe and a purple polka dot roof! Two of the girls decided on grays. This one is the classy house on the block! 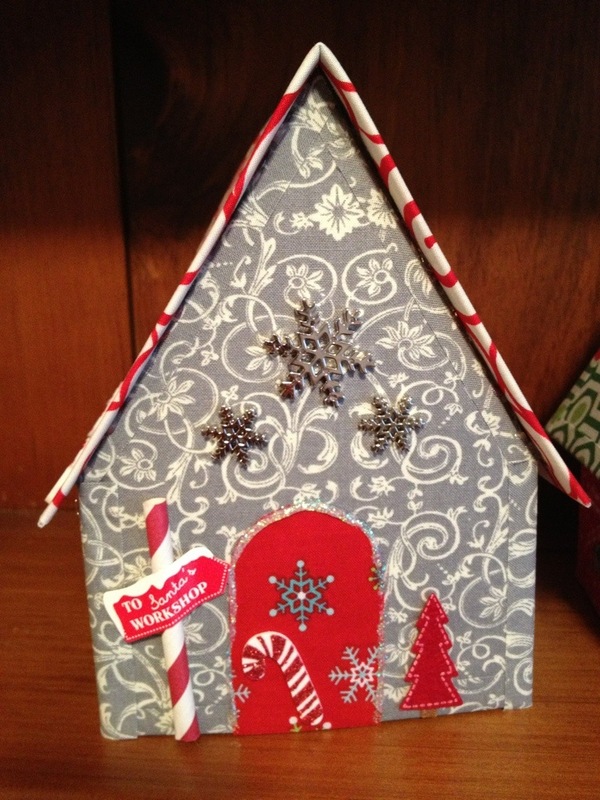 And this one is super cute with the little fairy house fabric from Cinderberries. 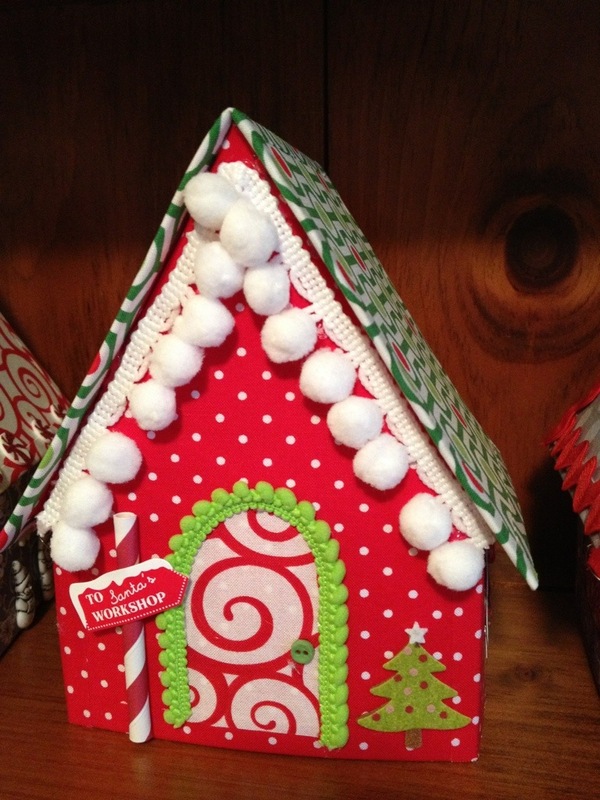 And these two houses were done in traditional cuteness! Isn’t that the cutest ruffle roof! 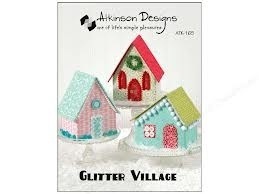 Pick up one of the patterns and get started on your own little village. Lots of fun! Spring break is over. Back in action this week. Saturday, Paige and I hung out and did some sewing on Sassafras, which I will hopefully be showing y’all the completed quilt by tomorrow. We think it’s turning out so awesome! I can’t wait to get it finished. We also made a trip to Ikea for some odds and ends and while we were there bought a couple of vases because we’ve been wanting to make a really cute flower arrangement we saw on Pinterest. If you’re not on Pinterest, sign up! It’s addicting. You’ll love it! Don’t you need another reason to spend all day on the computer? Isn’t this the cutest? 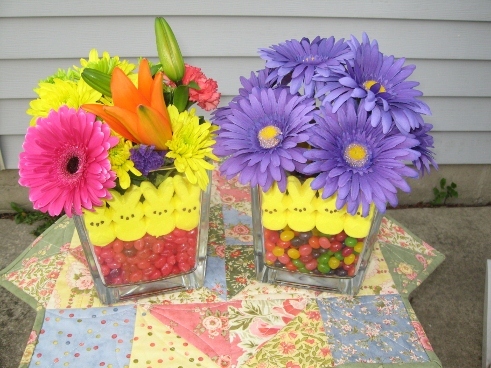 All you need is a vase, jelly beans, box of bunny peeps and some flowers and voila, a super cute Easter display! 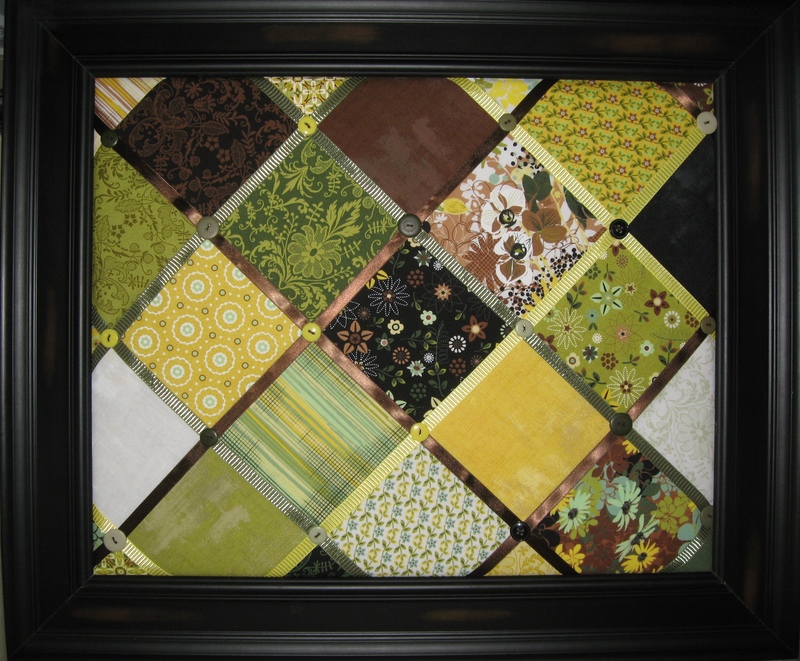 If you’re in the area join us March 10 & 11, 2012 for the Pride of the Prairie Quilt Show . Hours are 9-5 on Saturday & 11-4 on Sunday. The show will be held at Richland Grade School, 1919 Caton Farm Road, Crest Hill, IL. I’ve been busy, busy cutting kits and preparing samples, but I did find enough time in my schedule to do some crafting this week. 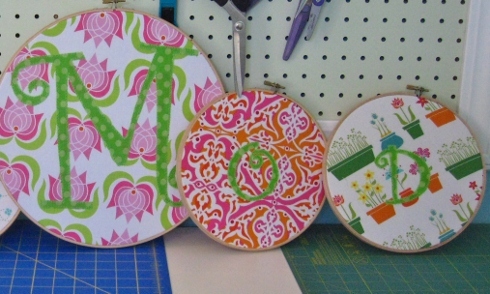 I’m totally hooked on hoop art, so I decided to do a little of my own by hooping “SewMod” and resting them on top of my peg board in the studio. Cuteness!! 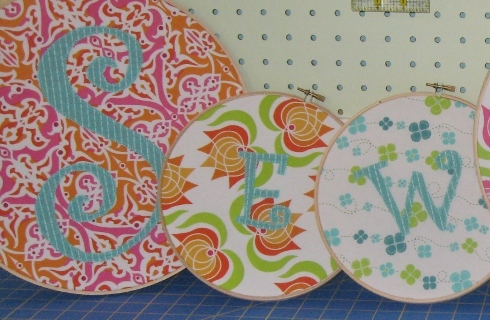 Using Lush fat quarters, I fused and machine appliqued the letters with a decorative stitch on my sewing machine. I added a piece of muslin for stability, hooped them, trimmed the fabric and pressed the trimmed fabric to the back. You can choose to cover the back but if its going against the wall, who’s gonna know, right? So simple and sooo cute. It puts me in a spring mood. It also doesn’t hurt that our weather has been awesome. I finally was able to open my windows and air the house out…yay! 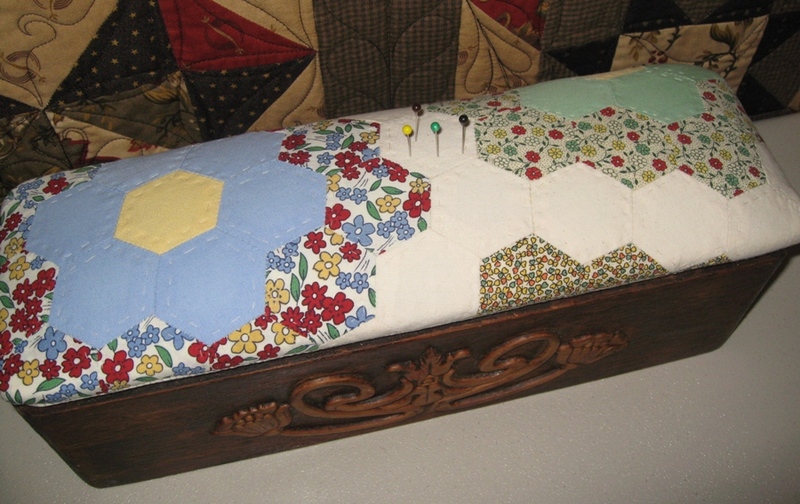 I promise on Monday I’ll be back with some quilt & booth pics from the show, so be sure to check back then. Have a great weekend & we hope to see some of you at the show! My Flickr Tea Buddies theme/project this month, or should I say last month because it’s June, was Owls. Marja and Marjon were our hostesses. Everyone picked an owl project. 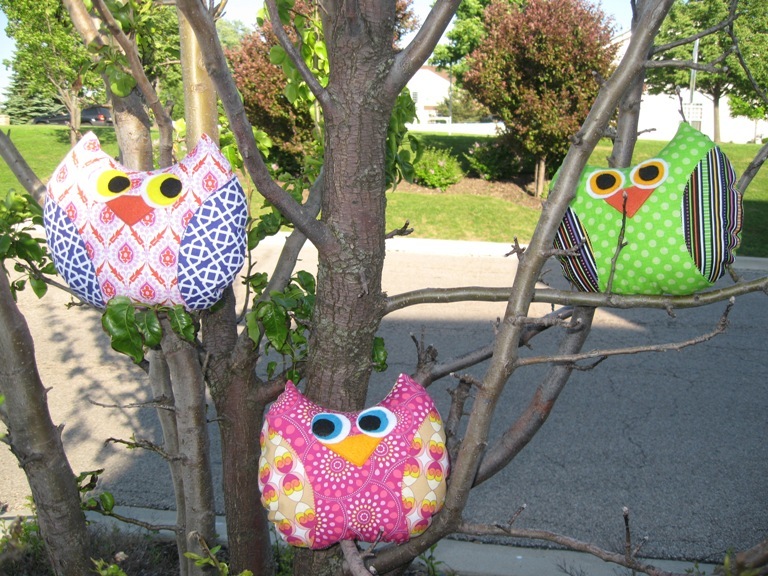 Some were pillows, Diane made a pincushion, Liz had the cutest owl mug rug, and Marja made a needle case with an owl on it. Throughout the month our hostesses showed us pics of live owls from the zoo. Marjon is a volunteer for the Dutch Little Owl Foundation so we saw all kinds of interesting owls. Marja even showed a cute pic of her grandson with an owl resting on his arm. Thanks for a great month ladies. I enjoyed all your pics! 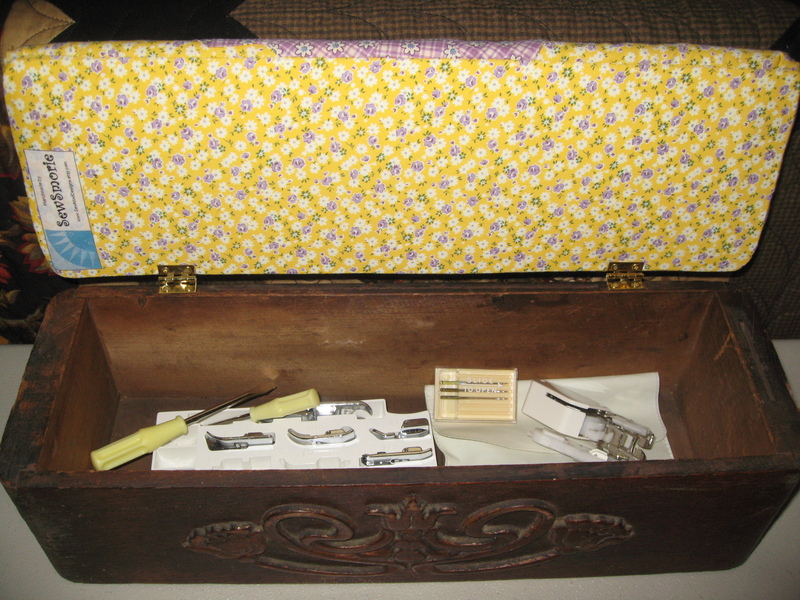 I finally have one of my sewing boxes listed on the Etsy store. I actually cut into..I know, say it isn’t so..the unfinished Grandmother’s Flower Garden quilt I was working on to make this box. I hand stitched everything from the flowers, the quilting, and the covering on the underside of the lid and I gotta tell ya that this is hard to part with. I think it turned out just awesome! 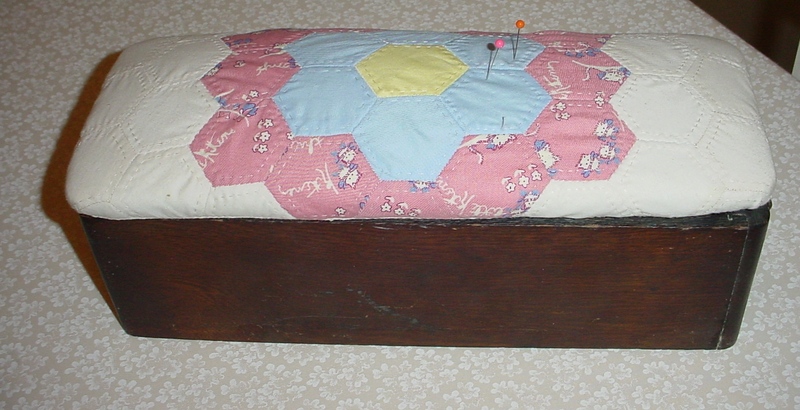 It’s made from a vintage sewing machine treadle drawer and I’ve attached a lid that doubles as a pincushion. I use mine behind my machine for easy access to my pins, machine needles, and presser feet. 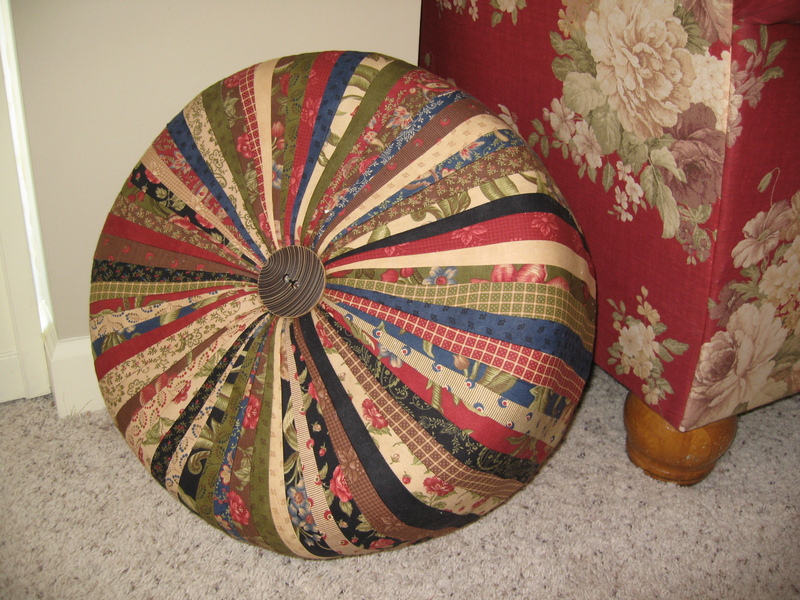 It’s one of the things in my sewing room that is unique. I also made the yellow one on the left. It turned out sooo cute! I machine appliqued the Grandmother’s Flower onto a cute yellow and purple flowered background and hand embroidered a lazy daisy flower in the center. I’m choosing not to list this cutie on Etsy because it’s not as perfect as I like my things to be. Its flaw is that it doesn’t seem to close as tightly as the other one and I had to move the hardware on it once. If it were mine, I would love it just the same but I kinda figured that if I’m expecting someone to pay for it, then they expect it to be at least close to perfect. I can’t list something I’m not completely happy with. I just hate the thought of it not being used and loved by anyone. So I thought I would give it away to anyone who leaves a comment on this post today. I’ll pick the winner and post it tomorrow, Saturday the 19th. So if you’re interested please let me know. Remember it’s only for today, Friday the 18th. The SewMod girls have decided to do a group project in a couple of weeks and since Paige & I proposed it, we thought we’d try it out before we get together to help things move along smoothly. 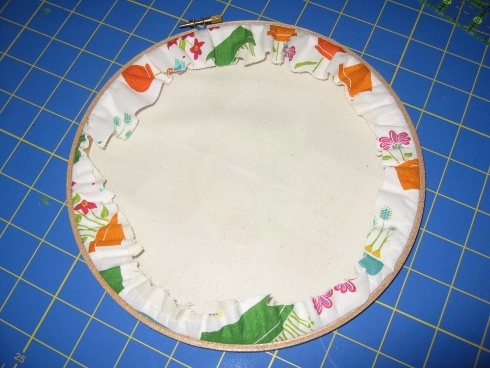 We’re making this cute little tuffet. I used a Blessings jelly roll for this practice one but I really wanna make one using the Amy Butler Soul Blossoms jelly roll. 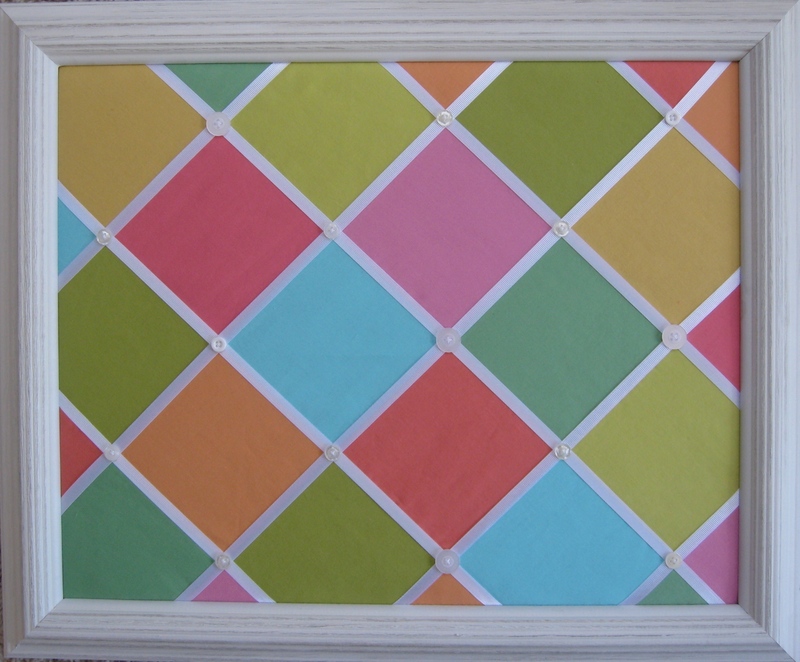 It took us quite a while to get this done, mostly because I’m the absolute worst paper/foundation piecer ever. I had to keep asking…now where do I start? I’m surprised she just didn’t take it away from me and do it herself. She’s very patient! 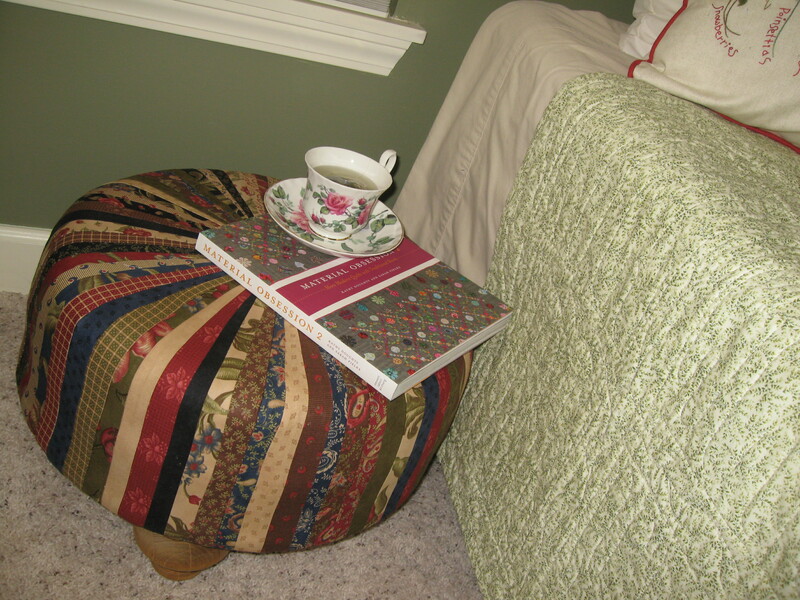 I think I’ll use my tuffet as a little bedside table in the guest room. Anyone up for a sleepover? It will be so exciting to see everyone’s choices and finished tuffet. I don’t think we’ll be eating any curd though. 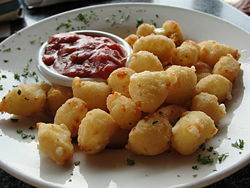 What is that anyway?…doesn’t even sound good…unless it’s Wisconsin cheese curds…yum,yum! 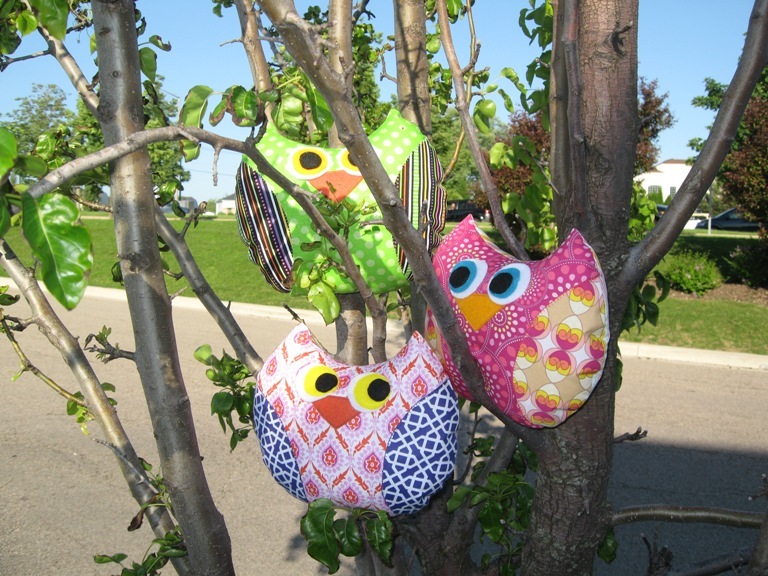 Shelley and I had a crafty day on Tuesday. We made the Moda Bake Shop’s Memo Board. It’s so much more fun to do things with friends. Even Daisy had a playdate. 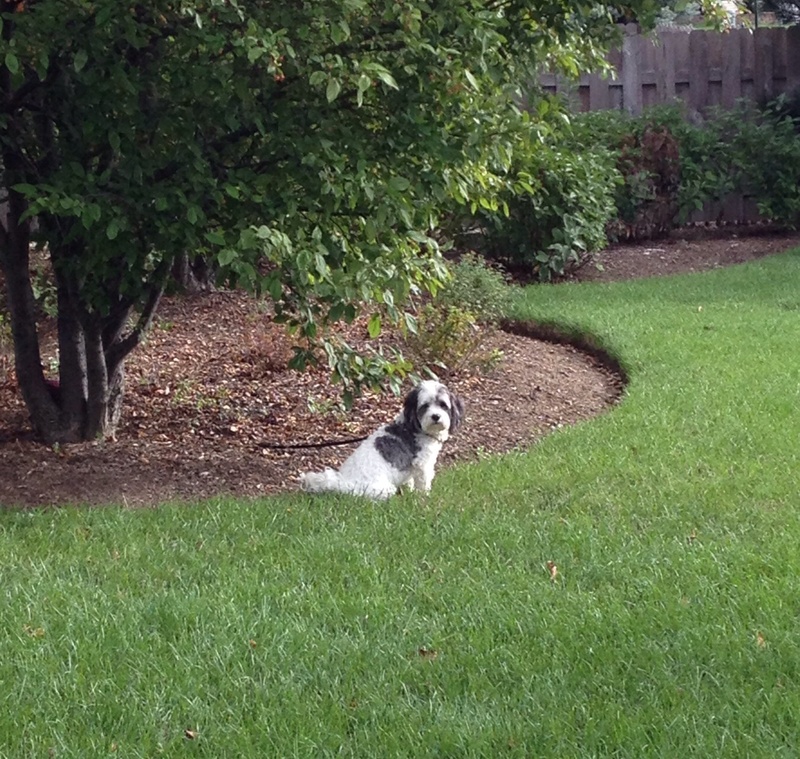 Meet Dixie, Shelley’s cute pup. She came to help us out. Shelley made hers from Amy Butler solids. And I used Basic Grey’s Origins. They’re almost too cute to put notes and pictures on!